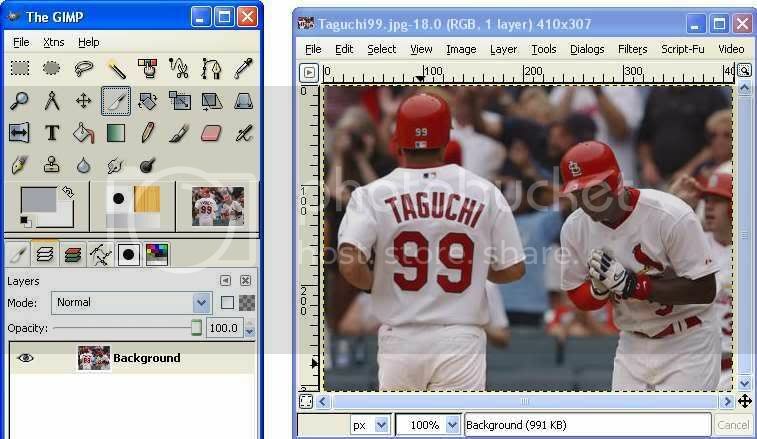 One commonly asked question is how to resize/crop a photo for use as an avatar/signature. There are many pieces of software that can be used to accomplish this, but my favorite is the GNU Image Manipulation Program or GIMP for short. There are two main reasons I recommend GIMP. First, and probably most importantly, it’s freeware. 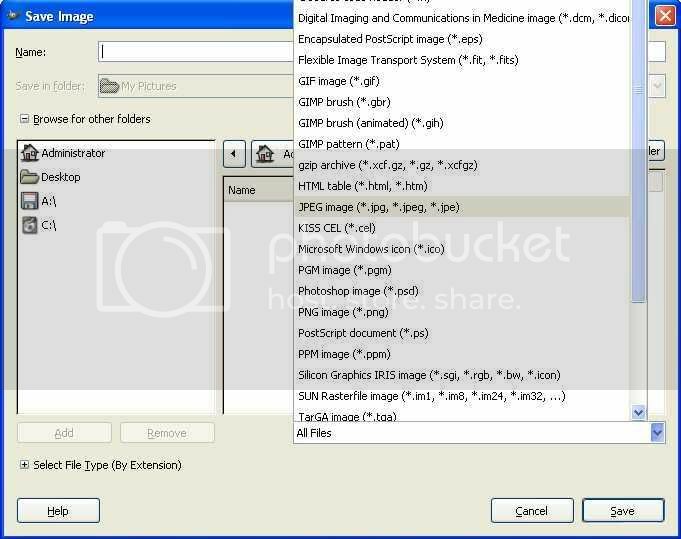 And second, it has many, many useful tools for processing pictures. However, as with any program with several tools, it can sometimes be difficult to find the tool you need. Consequently, I have prepared some guides on using GIMP to produce images suitable for avatars and signatures. Last edited by New Pagodi on November 29 06, 9:57 pm, edited 1 time in total. I have no firsthand knowledge on using GIMP with macs, but information is supplied here. 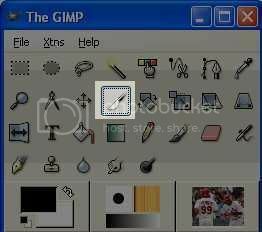 On windows, you will need two things: the GTK kit and the GIMP program. Both of these can be obtained here. To reduce the size of the download, these come as zip files. To use these files, you will need a program that can handle zip files. Versions of windows since widows XP include the necessary program already. If you have an older version of windows and do not have a program to handle zip files, 7zip is a freeware program that will suffice. 1) Installing the GTK kit. Note that there are different versions of the kit intended for the various versions of windows. Make sure to get the package appropriate for your version of windows. a) Download the appropriate version from the page listed above. b) This should give you a file named “gtk+-2.8.18-setup-1.zip” or something similar. 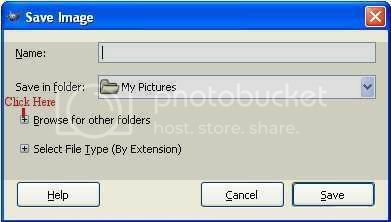 c) In your file browser, right click that file and select unzip/extract files or a similar option. d) This should give you a file named “gtk+-2.8.18-setup-1.exe” or something similar. e) Now simply double click that file to launch the installer program. f) Follow the directions to complete the installation. 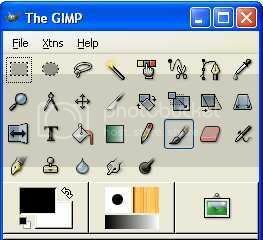 2) Installing the GIMP program. The process should be almost the same as for the GTK kit. a) Download the program from the page listed above. b) This should give you a file named “gimp-2.2.11-i586-setup-1.zip” or something similar. d) This should give you a file named “gimp-2.2.11-i586-setup-1.exe” or something similar. Last edited by New Pagodi on December 22 06, 9:02 pm, edited 1 time in total. This is called the toolbox. 2) Open the image you want to process. 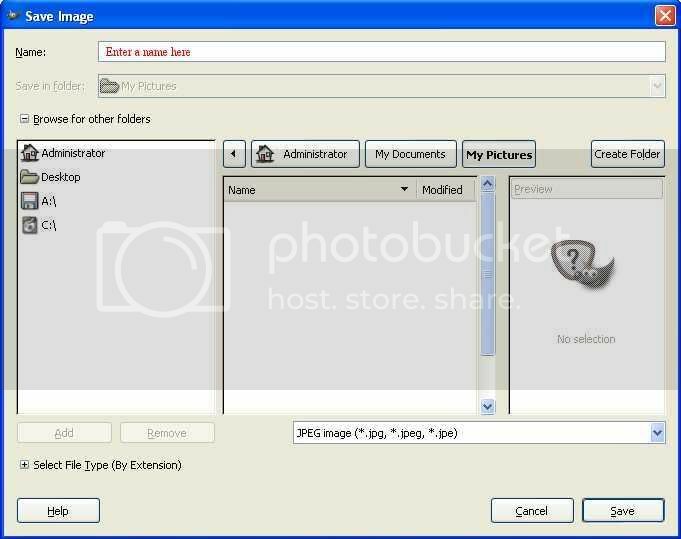 This can be done either by selection open from the toolbox’s menu or by dragging the image from your file browser on to the toolbox. Here’s the image I’ve opened, but your picture will of course be different. Saving files with GIMP is a little different than with most programs. Here are the basic steps to save a new image. 2) This will bring up the box show below. First select the folder you want to save your image in. 3) Then from the pulldown menu select JPEG Image. 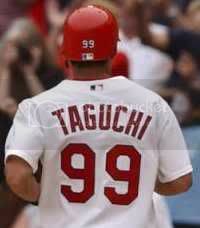 4) Enter the name you want for your image. 6) This should bring up the box shown below. 7) You can use the slider or the arrows to adjust the image quality. Higher numbers produce better pictures but with larger files. 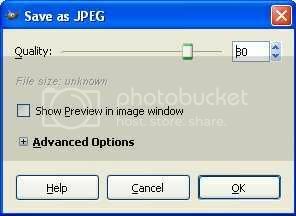 Lower numbers produce lower quality images but with smaller file sizes. Genrerally between 70 and 80 is a good compromise between quality and file size. Select a number and press ok.
For those unfamiliar with the term, cropping is the process of removing the unwanted parts of a picture. 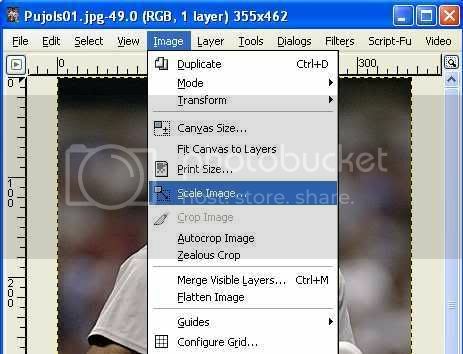 1) Open the image you want to crop. 2) Select the scalpel tool from the toolbox. 4) Select roughly the upper left corner of the portion you want to crop. Don’t worry about being exact since you can make fine adjustments later. 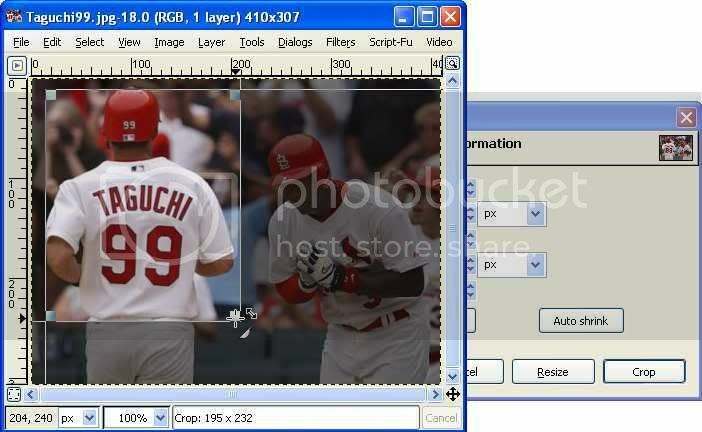 5) While holding the left mouse button, drag the cursor to the lower right of the portion you want to crop. As you do this the portion of the photo that will be removed is slightly greyed out while the portion that will remain is shown full color. 6) If necessary, you can make fine adjustments to the portion that will be cropped by pressing the up and down arrows for the Origin X, Origin Y, Width, and Height entries. 7) When you are satisfied with the selection, press the Crop button. 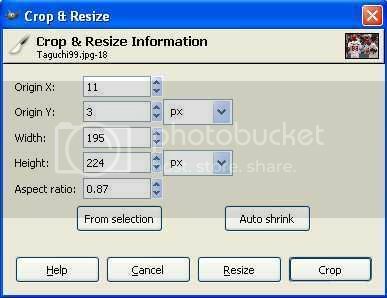 1) Open the image you want to resize. 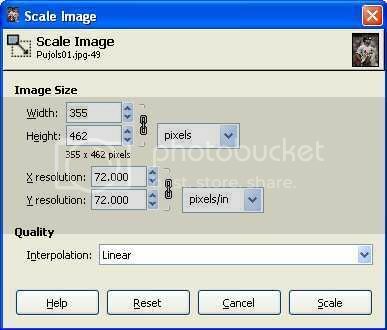 2) From the Image menu, select “Scale Image…”. 4) From the “Interpolation” option, select “Cubic (Best)”. 5) Enter a new number for the height or width or use the arrow buttons to change them. 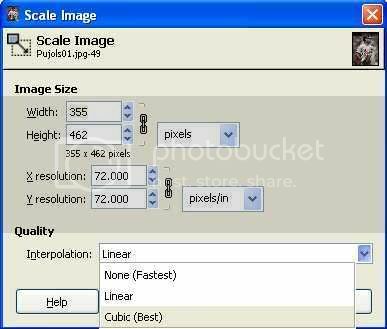 6) Press the “Scale” button the resize the picture. 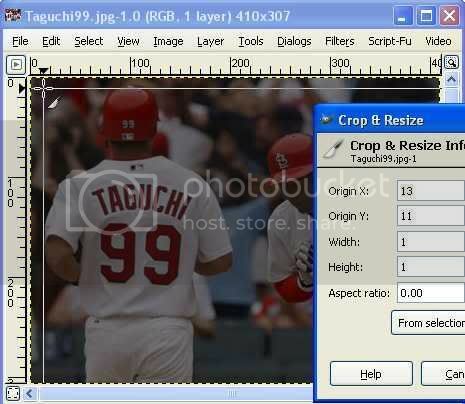 Note that when resizing images, usually as you change either the height or the width, the other will be changed automatically to preserve the aspect ratio of the picture. If you want to change them independently, you need to press the button that looks like a chain. Once you get the basics down, there are hundreds of other guides here that might be helpful for adding interesting effects to your avatar/signature. Good stuff NP. Thanks for posting.